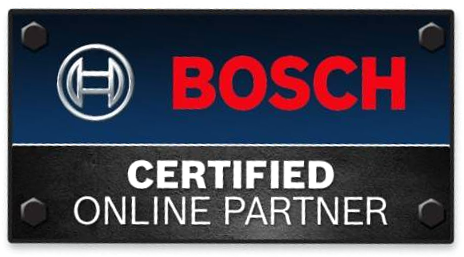 The BOSCH 5-Point Self- Leveling Alignment Laser with Cross-Line Kit delivers two-in-one versatility for power users who perform a variety of tasks involving squaring, plumbing, and leveling. You no longer need two tools to square a room for walls or transfer points for ceiling installations! The leveling laser has a smart pendulum leveling system that self-levels and indicates out-of-level, and it locks at any angle in manual mode, leaving your hands free to quickly complete layout. 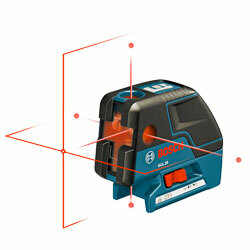 The included positioning device (BM1) provides a Microfine Height Adjustment System for quick adjustment. You have the selection of four modes: 5-point, horizontal line, vertical line, or cross-line modes. 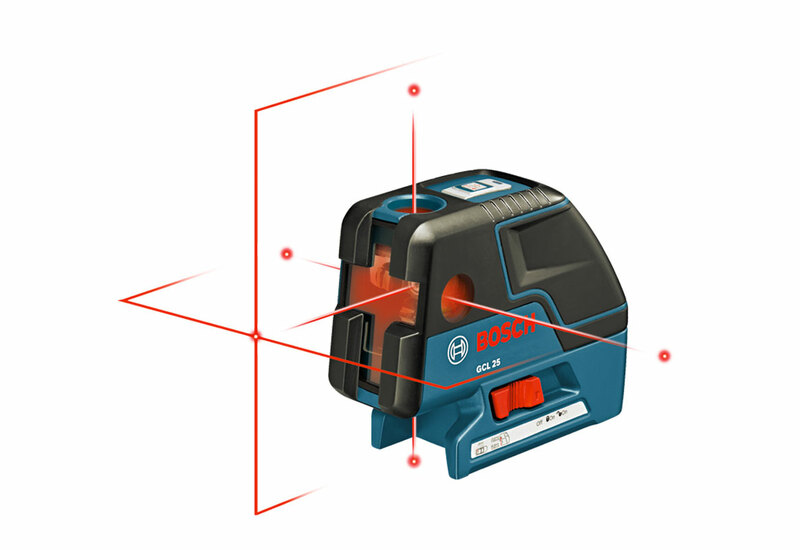 There are highly visible laser points and lines for horizontal leveling, vertical alignment, squaring, layout, and plumb point transfer. It has a plumb range of 15', a horizontal point range of 100' and a lines range of 30'. Range - With Cross Lines: Up to 30 ft. Range - With Horizontal Points: 100 ft. Range - With Plumb Points: Up to 15 ft.